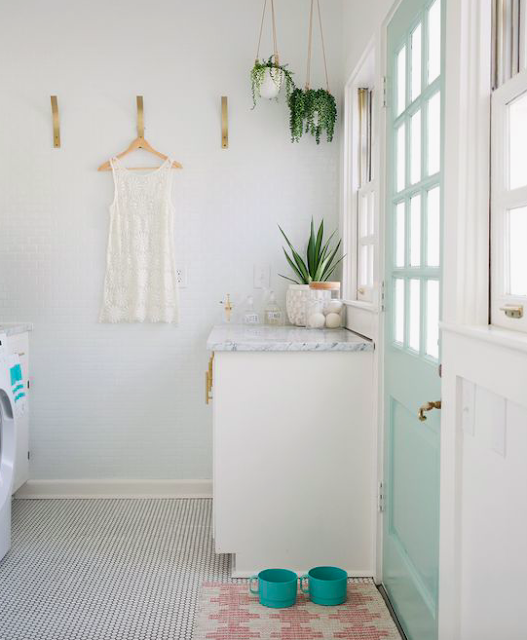 While our laundry room isn’t the most glamorous room of the house, it is one of the most functional. It’s also one of the rooms that is the EASIEST to get piled high with stacks of dirty (or clean) clothes, muddy tennis shoes, or that mysterious “donate” bin that never seems to make it to the donation center. Over the summer, I got into the habit of doing laundry everyday… thanks to the FlyLady system. 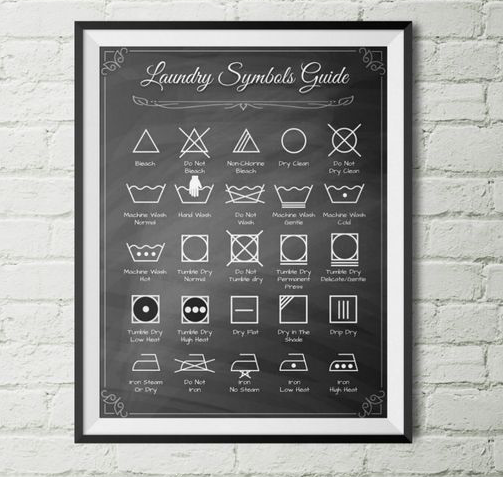 This has turned out to be a great way of doing things, but it certainly keeps our little laundry room busy! And if we’re going to spend that much time in a room, it might as well look cute, right?! So here are some creative design and organization ideas that I found on Pinterest (I don’t know how I got through life without Pinterest)! First of all, a great system for storing dirty clothes is pretty essential... after all, that's what a laundry room is all about, right?! 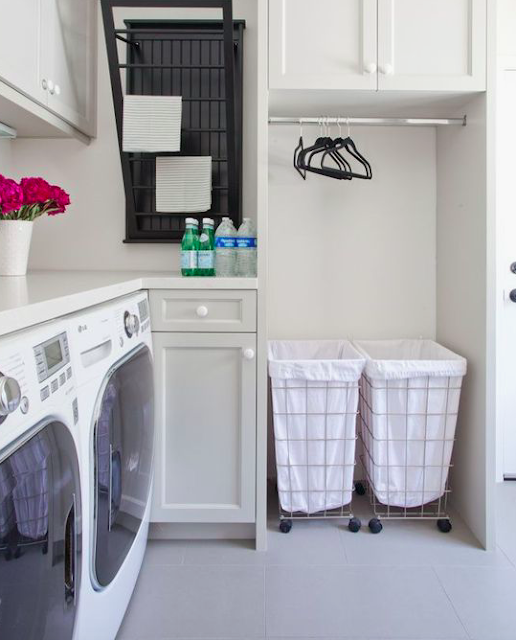 I love these modern and stylish bins for separating laundry BEFORE it’s time to wash it! (And I hate sifting through a giant pile of dirty clothes to pull out all the towels, etc.) This room by Von Fitz Design is so fresh and gorgeous! Another thing about laundry rooms is that they hold all this just… awkward. stuff. Brooms, mops, ironing boards, etc. Plus all of the cleaning supplies that go along with them. 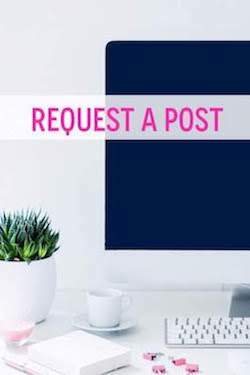 I love this idea from iHeartOrganizing (of course!) 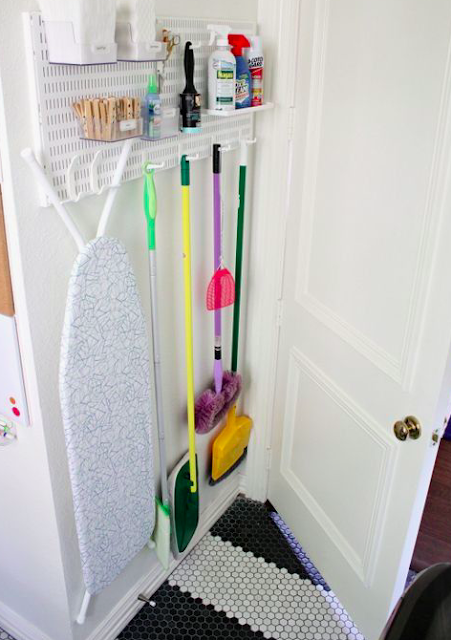 of using a utility board to help store those items on the wall! If you’re looking for beautiful inspiration (for literally anything), look to A Beautiful Mess. I LOVE these single hooks that Elsie used in her laundry room (similar)! They can spaced out, making the room feel less crammed and cluttered. The hanging planters are a great way to add some personality to the room without taking up any counter space! And I also love… everything. Just everything. This tiny shelf looks like the perfect way to sneak in a little more storage space! It’s only five inches wide! Five inches! It looks like a storage must for tight spaces! Do you have a tiny utility space? What creative solutions have you come up with to help you organize it? 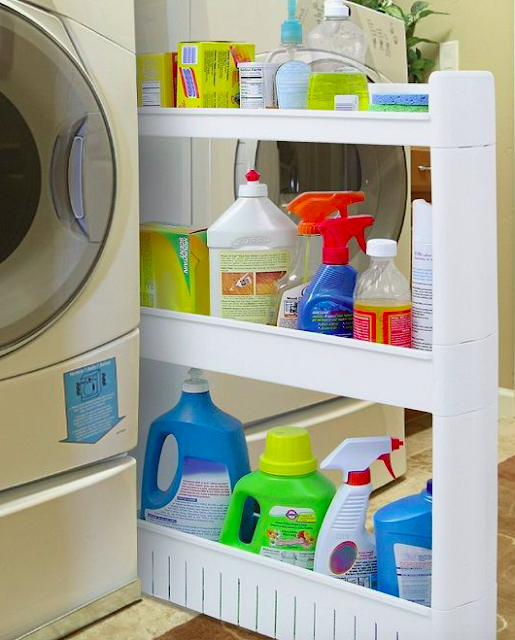 Post a link to your favorite laundry room organization inspiration! Follow Organized Charm on Instagram for more home organization tips!